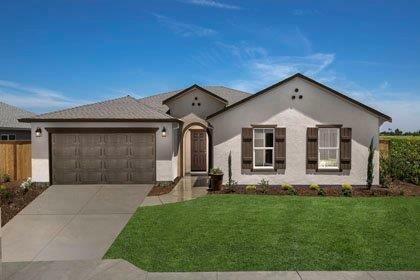 Beautiful new home in a charming and intimate new community within an established Fresno neighborhood. Sanger Unified School District Convenient to Hwys. 99 and 180; quick commute to Fresno employers Short drive to Yosemite, Sequoia and Kings Canyon national parks City of Fresno offers small-town charm as well as the conveniences of a big city. Spacious great room Walk-in kitchen pantry Separate laundry room off kitchen ENERGY STAR qualified homes certified by third-party inspector. For 60 yrs. KB Home has been helping buyers discover the joy and benefit of owning a new home. This is your opportunity to live in a home that no one else has lived in before. Built to order. Property is to be built. Pictures are for illustration only. Tract Builder 5513 / Kb Home Inc.